Do you think it’s possible to traveling Taiwan in a low budget with LESS THAN $10/day? Have you ever wondered why not too many backpackers travel there? Let me tell you that I have done it with only this much money daily. And I will outline how exactly did I do that. Ready for our Taiwan travel guide! Click here to read our Instagrammable places in Taiwan! Read here our 22 Favorite Taiwan tourist spots! Check out the level of ease in traveling Taiwan in a low budget below! Transportation – VERY EASY. Accommodation – VERY EASY (for getting hosts). Food – EASY (There are options if you look for cheap food). Before the trip: What do you need to prepare? First time traveling Taiwan, make sure that you don’t have any visa concerns. If you are from the US or from Europe, don’t forget that you need to have a passport with at least 6 months before expiry. For traveling Taiwan, you are eligible for 90 days visit, visa free. – You can buy a flight ticket and ask for a refund later from the flight company. Some allow you to cancel with a refund for until 48 hours. Make sure about the conditions. Some will not refund you for 100%. – Check flight companies. Some of them will provide your booking details, and they won’t charge you until after 24 hours. So, just book the flight out, and later if you don’t pay, they will cancel anyway. But you will already have the chance to print out your booking and show to the flight company. – There are websites which will book your flight ticket for 24-48 hours. They will charge you between 5-10 USD. You can print out the booking and show to the flight company. Check onwardflights and flyonward for this option. – Check returnflights. You can print out your flight out ticket. For FREE. – Your last option is to buy a cheap flight out ticket. You always have the option to use or not use it. Click here to book your accommodation before your next trip! The official currency of Taiwan is the Taiwanese Dollar, 1 USD= 32 (TWD). If you are bringing cash, I recommend that you exchange only a small amount in the airport. You will find better rates in the banks, once you get to the city. If you want to check the rate, here. Vaccines? You won’t need any when are traveling Taiwan. They can recommend vaccines against Hepatitis and Japanese encephalitis. If you want more information, check here. About safety. Traveling to Taiwan is safe, so that’s not a problem! Make sure you keep your belongings on your guard when traveling in crowded spaces. If you are a girl and you travel alone, there’s no need to feel scared. 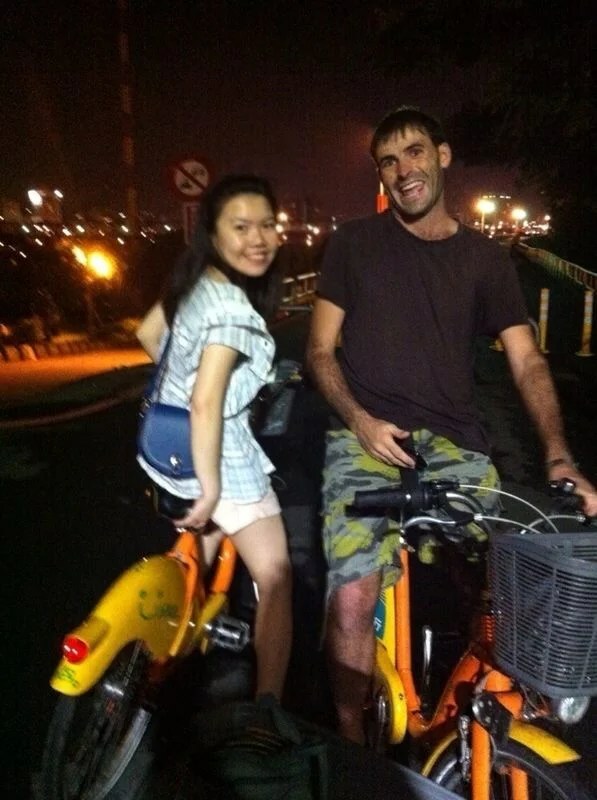 I met a couple of girls who were hitchhiking in Taiwan, doing couchsurfing and wild camping. They were totally confident about the safety as traveling females in Taiwan. – Spring: This is from March to May. It’s rainy season. It’s warm during the day and little bit cold at night. – Summer: From June to August. Weather is very hot and humid. There are occasional thunderstorms and typhoons. – Autumn: From September to November. The weather is warm and it’s rarely will you get to experience rain. – Winter: December to February: Little bit cold at night, especially in the North. Is Taiwan an official country? Taiwan is officially the Republic of China. It’s not yet recognized by United Nations as a country and there are only 26 countries which recognized Taiwan as an official country. Do you wanna see the list, here? If we will only base in the United Nations, Taiwan isn’t an official country. But Taiwan is working independently. The other countries don’t want to make a fight with the Giant: China. Taiwan has their own government, economy, currency, constitution, flag and language. If you travel in China and in Taiwan, you will see how different the two countries are. Taiwanese speak Mandarin but they speak Taiwanese, too. There are some dialects that people speak. There is a lot of variety in culture, and I was able to meet and spend time with so many people during my time of visit there. Check your first destination. Let’s say that it is in Taipei. Check maps, guides for prices, places to visit and what’s the weather during the time you’re planning to enter Taiwan. Try to keep in mind that you can spend $10/day, so your budget will easily start there. If you choose to, you can always raise your budget on a particular day. I will tell you Taiwan is easily one of the best yet cheapest countries you can visit in Asia. Read here to know more for one month Taiwan itinerary. The most preferred way of reaching Taiwan is via an airplane. If you are traveling around China, Macau, or Hong Kong, there are various cheap flight companies you can choose from. If you aren’t carrying too much luggage, let’s say only a backpack (which I highly suggest you do), you can easily register for hand luggage. You will avoid paying any extra charges for luggage. Check the prices and the dates that you will travel and be sure to compare between flight companies. I usually use Skyscanner. For me, Skyscanner is the most efficient website to search for flights. Skyscanner gives me the best price, 90% of the time. Google Flights is also a good place to check and compare flights, and choose the best for you. If you want to travel Taiwan in a low budget, your luggage should be light. Forget about suitcases! I’m usually traveling with an 8-kilo luggage. That’s including the tent and a sleeping bag. Traveling Taiwan cheaply requires a light luggage. I’m bringing 3 t-shirts, 3 pairs of underwear, a pair of pants, a pair of shorts, a cup and a jacket. This is the usual way I travel. Be sure to bring your own toiletries. A flashlight is always useful if you plan to sleep outdoors and pitch a tent at night. Bring soap, to wash clothes and to clean yourself. When you travel light. You need to wash your clothes everyday, if not you will run out of clothes. Try to contact someone before going to Taiwan, if you want to travel Taiwan spending less than 10 USD per day. You need to get free accommodation. Otherwise, hostels charge you more than 10 USD per night for sleeping. There are websites where you can get free sleep during your trip. I can recommend you my favorite one, Couchsurfing. If you want to know more about sleeping for free during your travels, check this link. I’m gonna talk about travel Taiwan right now, but you can check information here. You don’t want to use websites to sleep free? It’s not a problem! I told you, traveling Taiwan is one of the easiest and cheapest countries you can ever visit. You can pitch a tent to sleep for free in Taiwan. You can sleep in buses or train stations. 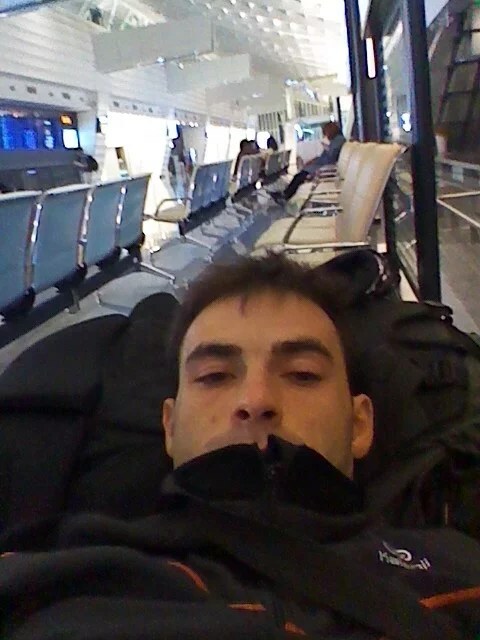 You can sleep in the airport. Another trick to sleep for free while traveling in Taiwan is to ask in churches. 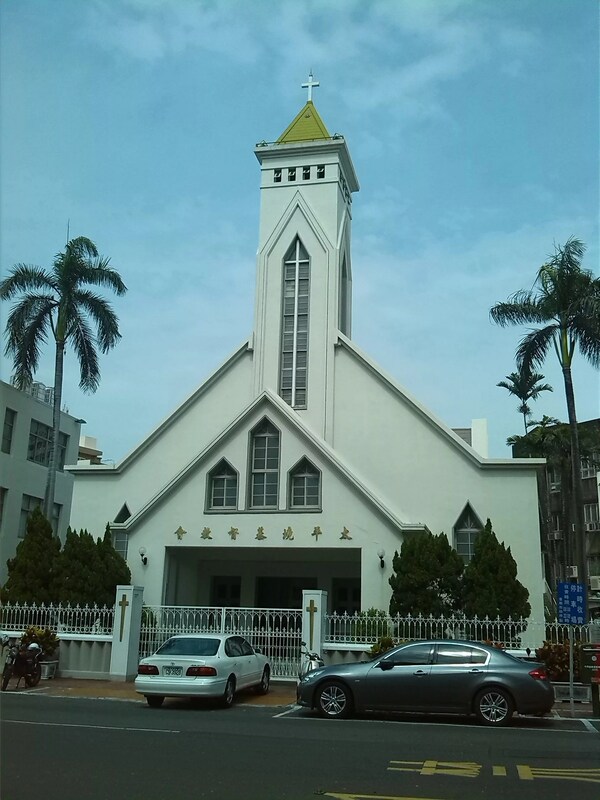 There are churches which let you sleep for free in Taiwan. I met a friend who was traveling two weeks in Taiwan without money. He was sleeping in churches and they were providing him food. Every time he left for city, churches were providing him an address to visit next. 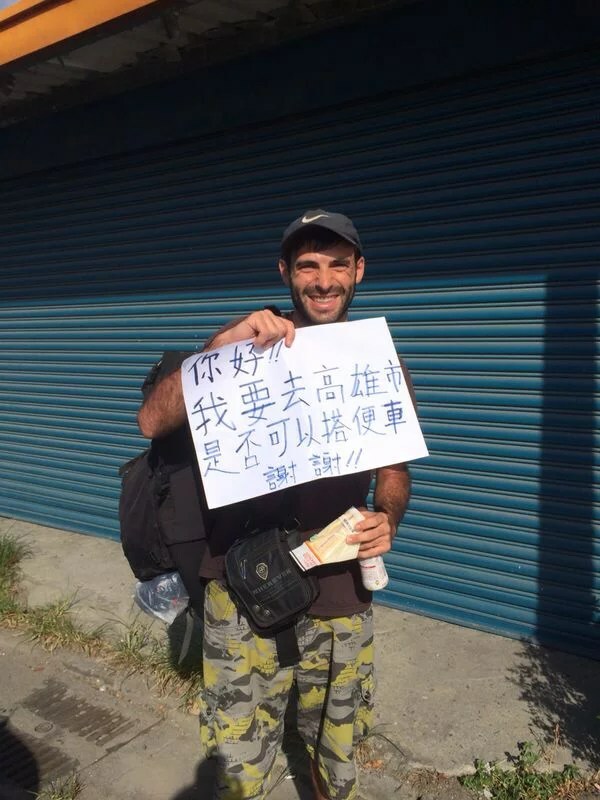 He was using hitchhiking as transportation to travel Taiwan. If you want to spend more and staying in hostels: Best hostels in Taipei. Church. Sleep for free in Taiwan. Transportation will never be an issue when you are traveling Taiwan. Prices might be high if you compare it with most of the countries from South East Asia, however, distances are short and hitchhiking is easy. Roads are really good, too. It means you can go hitchhiking totally confident. I recommend that you try hitchhiking in Taiwan. And if you haven’t tried hitchhiking ever, Taiwan will be a good place for you to experience hitchhiking, so you can let go of all your inhibitions about it. Why? Because hitchhiking is super easy in Taiwan. You will save in transportation and you will have a great experience. It will surely make you feel confident about traveling this way. If you have never tried hitchhiking before, check out the step by step hitchhiking guide here. If you are getting to Taiwan by plane, try to exchange little money in the airport. Exchange rates are usually lower than that outside the airport. If you can, exchange money in banks or an official exchange office. You will get better rates. If you are bringing credit card, some ATMs don’t charge commission. Look for them, for free always better. There are some ATM’s which charge 1-2 USD commission for foreign cards. It depends on which card you are bringing. Taipei will be your starting point, read what to do in Taipei! East Coast of Taiwan is less populated places to visit in Taiwan and landscapes are amazing. There are beautiful places on the East Coast. You can visit Taroko National Park. You can see amazing landscapes and waterfalls. How to visit Taroko National Park in a budget? It’s easy: it’s actually for free. Should I rent a motorbike or be on a tour? You don’t need to. Traveling Taiwan is easy. Just go hitchhiking. Ask for a ride in the entrance of the National Park. Locals would be happy to drive you around Taroko National Park. You can enjoy the Coast too. Beaches are quiet and nice. The beach is my favorite place to stay. If I have to choose, I can recommend you to visit East Coast rather than the West Coast. West Coast is much more populated compared to the East. There are industrial cities. My favorite city was Kaohsiung. I was actually surprised how modern Kaohsiung is. My favorite thing in the West Coast was the night markets. Each city has one. I enjoyed roaming around with local people who I met there. Hitchhiking also worked really well, even better than East Coast. There was so much more traffic, so much more chances of getting a ride. If you want to travel 10 USD per day in Taiwan, you need to make sure to get a host. You can check Couchsurfing, Bewelcome, and Hospitality Club. You don’t want to use websites to sleep free? It’s not a problem! 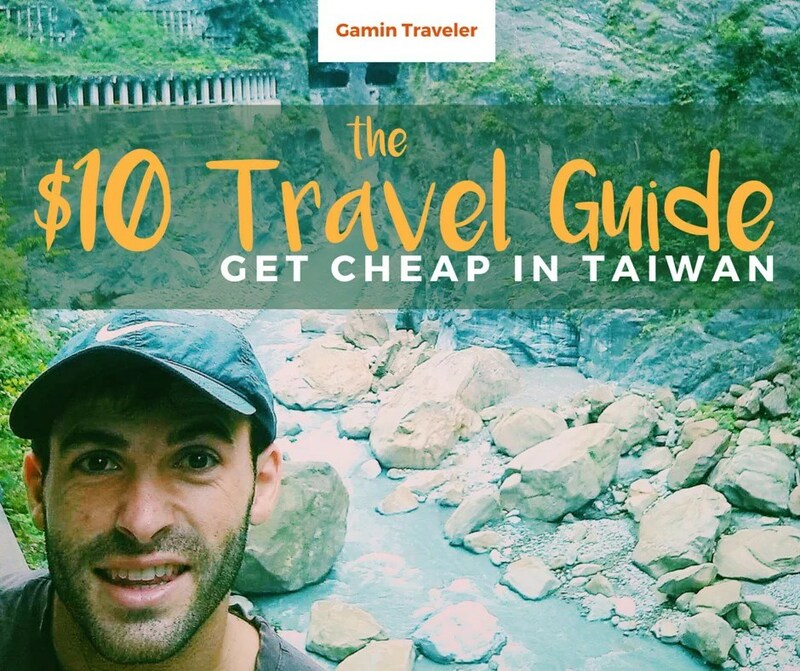 I told you, traveling Taiwan is one of the easiest and cheapest countries. You can pitch the tent to sleep for free in Taiwan. Look for a quiet place where you can pitch your tent. You can sleep in train and bus stations. You can sleep in the airport. Another trick to sleep for free traveling in Taiwan, to ask in churches. You can also ask hostels for work. You can work for a few hours helping them and they will provide you free food and accommodation. Also you will get a great experience. If you are in the middle of your hitchhiking day. You can ask locals to pitch the tent in their garden. Maybe, they will allow you to do that. Maybe, they will invite you inside home to sleep. One of my top recommendation for you to stay traveling on our budget (less than $10 a day). It’s to leave Taipei as soon as you can. It’s a very big and busy commercial place. You need to make sure to get a host in the city. How to leave Taipei without spending any money? Go hitchhiking! If you want the easiest way, buy a metro ticket and try to check Hitchwiki to get information on where to start hitchhiking outside Taipei. There will be various guides, depending on which direction are you heading to. If you don’t want to do in that way, the best way is to just go walking close to the highways, make a sign and try to get a ride. Hitchhiking is working really good in Taiwan. People are so, so friendly. Taiwanese people can speak a lit bit of English. So, it’s easy to communicate to them. If you can speak Chinese, its gonna be easier for you traveling Taiwan. – Try to walk outside the city to ask for the ride. Try to choose a place where cars can stop and watch you easily. – Make a sign in their language. Ask for help with the locals to make the sign for you. They will be happy to help you. Once you have the sign, everybody can understand what you are doing, and why you are trying to get a ride. – I’m a guy. For me it was safe, traveling Taiwan hitchhiking. I met girls who hitchhiked in Taiwan. They felt very safe too. – To ask for a ride, try to move your arms up and down. Give them your best smile. That’s it! – Just enjoy the experience when people are driving you. Talk to them and you will learn things from them. 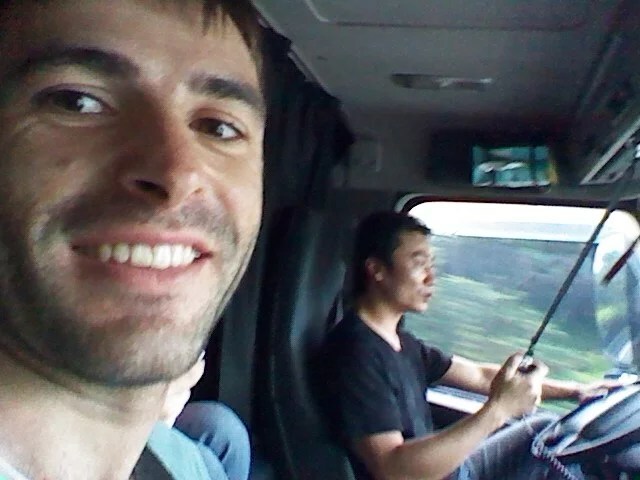 When I was traveling Taiwan, I hitchhiked cars and trucks. Some of them can speak a bit of English. I was also communicating to them with the very basic Chinese I know. Local people are going to tell you that hitchhiking will not work (not that anyone who hasn’t hitchhiked ever believe it’s possible. ha!) But, trust me. After a few years hitchhiking, Taiwan is actually the easiest country for hitchhiking in the world. One of my favorite countries for hitchhiking, as Thailand. Why was it the easiest country for hitchhiking? Because Taiwanese people are VERY friendly. Taiwanese people speak a little bit of English. I knew how to speak basic Mandarin. so that also helped me a bit. Roads are very good. There are many cars and trucks driving on the roads. As a white guy, it was very easy for locals to spot me in the streets. And as a foreigner, you are lucky to travel in Taiwan. People want to meet Western people. Hitchhiking from Taitung to Kaohsiung, I got 3 rides. Guess what? All of them treated me for breakfast! I was full all the time! I actually even tried once to refuse, and they didn’t accept. They gave me the food to takeaway. Amazing people! When I was hitchhiking from Kaohsiung to Tainan, 3 girls drove me. They stopped at a local dessert place to introduce me to Taiwan’s local desserts like ice cream and sweet fruits. They were singing in a core and they invited me to the concert. When you are traveling Taiwan, you can try the betel nut (called binlang in Taiwan). The nut is raw and wrapped in a leaf. They mix with calcium hydroxide. They can include more spices like cardamon to get extra flavor. Put all the ingredients together, then eat. When you chew it, it will taste bitter. Your teeth will also turn red. 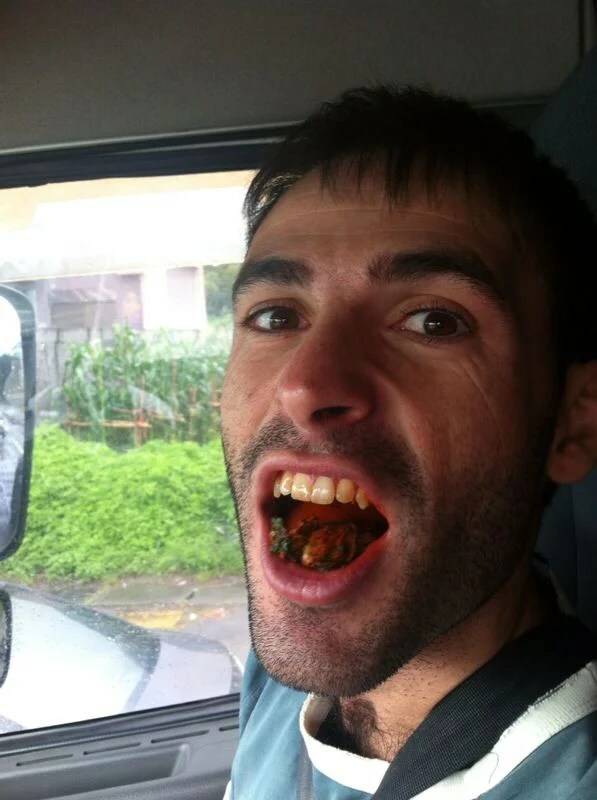 Betel nuts act as stimulants. That’s why drivers usually eat them – truck drivers, taxi, and even bus drivers. 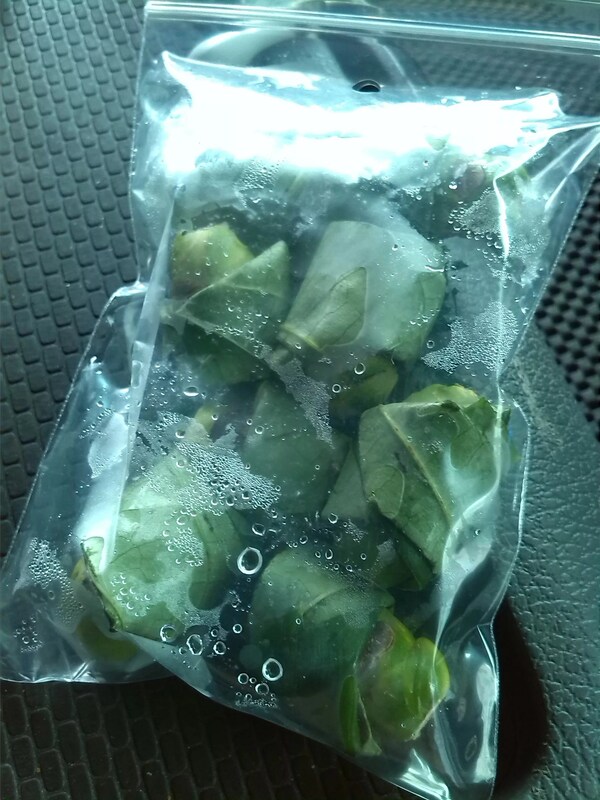 Truck drivers, taxi drivers, bus drivers are usually eating betel. Its not the only place where you can find betel. You can find betel in South East Asia, Myanmar, India and Nepal. travel Taiwan if you go hitchhiking, someone is gonna offer to you. truck driver or just drivers who drive long. You will have the chance to try. If you check on internet is really bad to eat betel. Just try to get a new experience. Once you have cut off expenses from transportation and accommodation, you are ready to take on Taiwan in just $10/day. Transportation inside the cities can be much trickier but nevertheless possible. If you decide to take buses and metros, they are cheap, costing like $1 per ride. If you want to avoid paying for transportation, you can walk or get a bicycle to go around the city. Free bicycles are available in Taipei. Check with your Couchsurfing host or if you met a local friend, they might have subscription cards for the bikes. You can swipe the card and get a free bike ride for a maximum of 30 minutes. Make sure to bring it back before that time is up, because if not your host will get charged. You can leave the bike in one of their stations (they are all around Taipei) and get another one to reset the time. When you have cut back on expenses you don’t need, you then have additional money on the things that you might love. One activity you might want to spend on is visiting museums in Taiwan. Taiwan’s gastronomy is surprisingly good. If you are figuring out what things to do in Taiwan to have a rich and memorable experience, I highly recommend the food. At the time of my travel in Taiwan, it was the summer season. The weather was really hot. So it was very refreshing that they have bubble teas and juices everywhere. And prices start at $2. Wow. Bubble tea is everywhere. Literally. You can get fruit flavored tea or milk tea. These teas are usually made from a a mix of black tea and flavored pearls. You can add honey, condense milk and syrup. 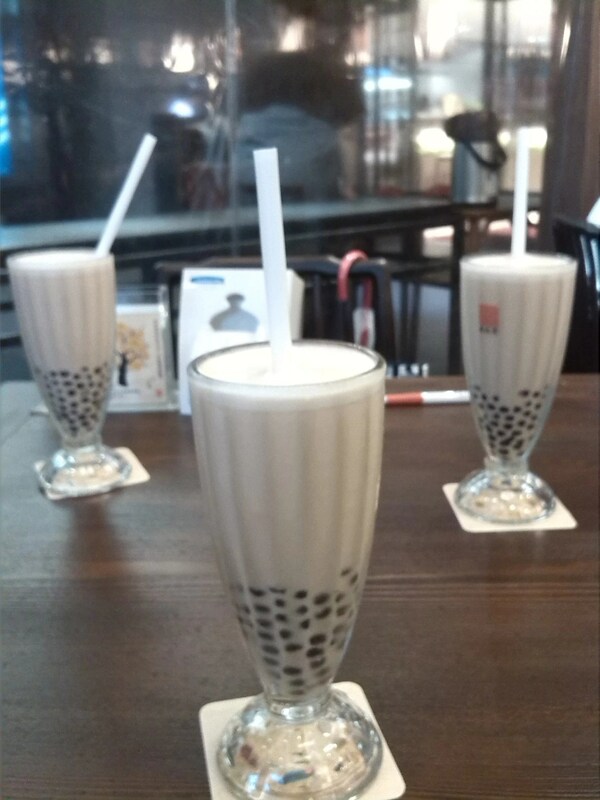 Taiwanese people are addicted to bubble tea. It’s very sweet, that’s one thing I noticed. You can find people walking around the city, drinking their bubble teas. Taiwanese people are crazy with ice cream too. 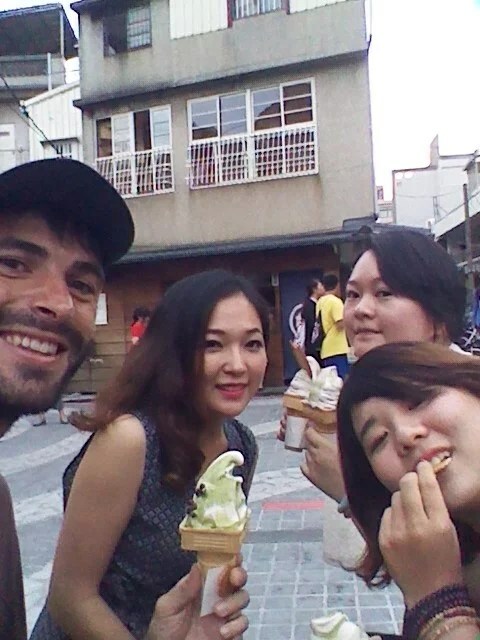 When I was hitchhiking, people treated me for ice cream twice. People actually wanted to make sure I have tried what’s best in their city/town, and will not let me go without showing me. One great thing I noticed. My favorite is the mango ice cream. The night market is my favorite thing to do in Taiwan. I am not about spending in luxurious hotels and getaways. I am more into infusing myself to the local culture – exactly what the local night market is about. There is so much variety of affordable food. You can find them on the streets from $1 to $5. If you are traveling Taiwan from South East Asia, you will realize that the prices are not the cheapest. But if you have traveled Taiwan, doing hitchhiking and couchsurfing, then you had done your part cutting back. You can spend on food! Taiwan is not the cheapest country in Asia. It is more developed than the neighboring countries, but still very cheap. 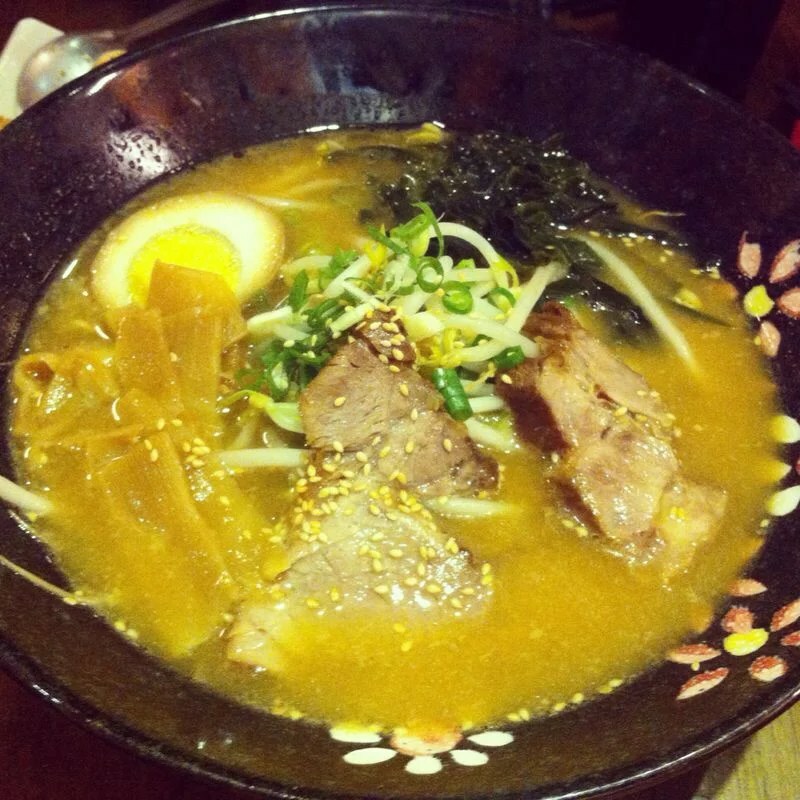 You can get a noodle beef soup for $2-3. Desserts usually cost around $1-2. 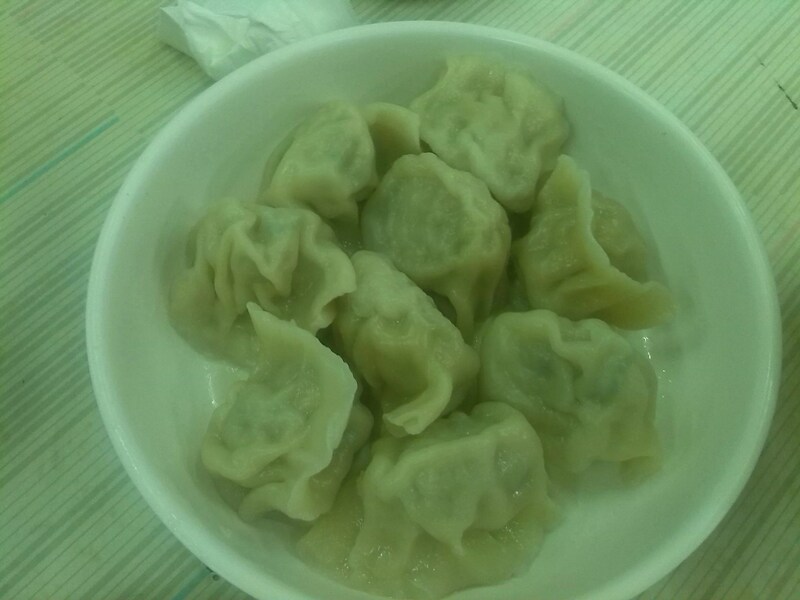 I also love dumplings from Taiwan. If I had to pick one favorite food, it will be their oyster omelette, which I love to have for breakfast. It costs $2-3. How to get WIFI for free? Wifi is everywhere although it might be tricky to connect because they will require you to connect through a Taiwanese sim card. If you get one, you should be able to connect everywhere: in 7-Eleven convenience stores, in the bus or train station or even in museums. There are also a lot of hotspots in the city. If you don’t choose to do that (which I didn’t), you can always connect with friends and couchsurfing hosts in their homes. Taiwanese people use bicycle a lot. If you do try it here, make sure to stay very careful. There just aren’t many bicycle lanes. You will need to go on the side of the road. and pay close attention to cars. Especially, pay attention to the motorbikes. There are thousands of motorbikes in Taiwan. If you like bicycle read this post! There are some attractions for free in Taiwan which I can recommend for you to see 100%. Like the Fo Guang Shan Buddha Memorial Center. It’s a few kilometers from Kaohsiung. If you are lucky, you might be visiting Taiwan in the city when there is a Hot Air Balloon Festival. These festivals are for free. 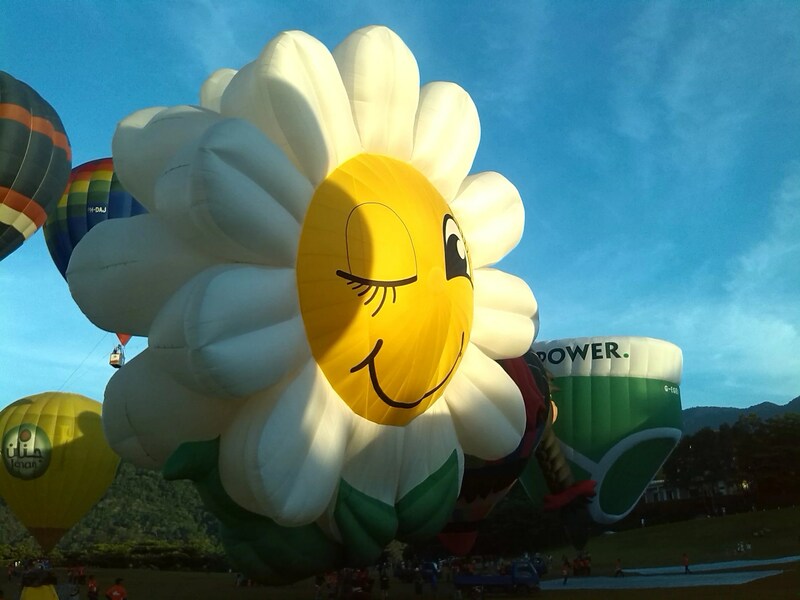 Taiwanese people love going to these Hot Air Balloon Festival. You can easily enjoy these activities, visiting very early in the morning, relaxing and watching from top of the hills. The most famous festival in Taiwan is the Lantern Festival. It is one of the most visited festivals and attraction in the country, what with the countless lanterns floating in the skies – everyone can easily get captivated in this beauty. If you love festivals, be sure to check schedules when you are planning your trip so you won’t miss anything. If you are traveling around the New Year’s day, New Year celebration will of course be one of the highlights of your trip. Fireworks and lights everywhere, people walking around the parks at night taking pictures. The New Year, just like everywhere is a special observance done with fireworks, noise, lights, family gatherings and parties. It’s also a day off for everyone working. 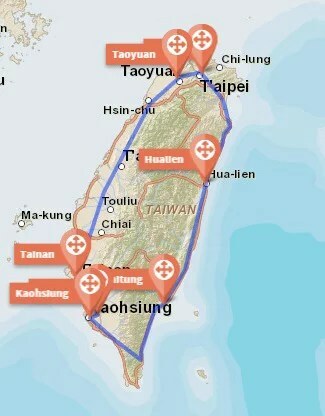 The picture above is my travel route in Taiwan for 3 weeks. I started in Taipei, short staying, for 2 days. I went down to the East Coast. 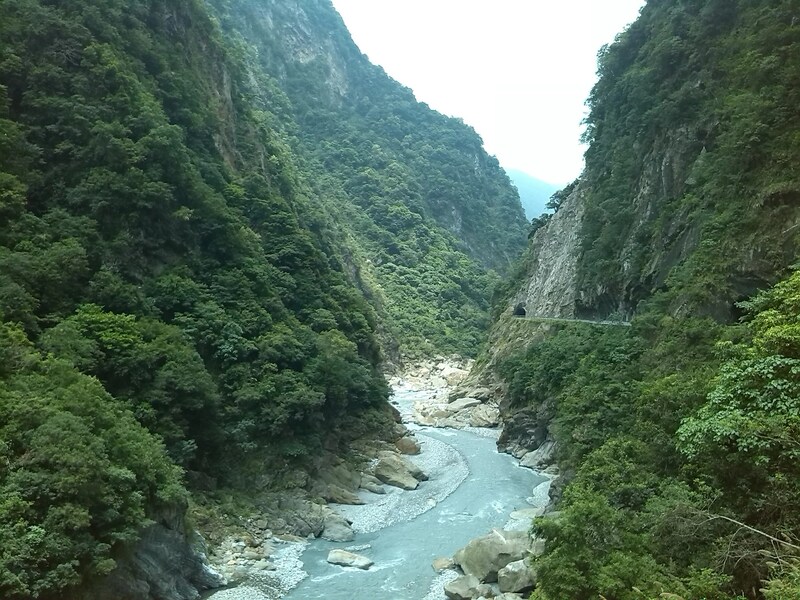 I visited Hualien, visiting the Taroko National Park. Then I headed to Taitung. From Taitung, I went to the West Coast to visit Kaoshiung. I went next to Tainan and going back to Taipei. The map shows you an outline of the routes I took, hitchhiking everywhere. After traveling Taiwan for 3 weeks, Taiwan is easily one of my favorite countries in South East Asia. The beauty is untapped for most travelers, compared to the other countries in Asia that get visited a lot. In Taiwan, most of the visitors are coming from China. You can easily tell them apart – traveling by bus in big groups. 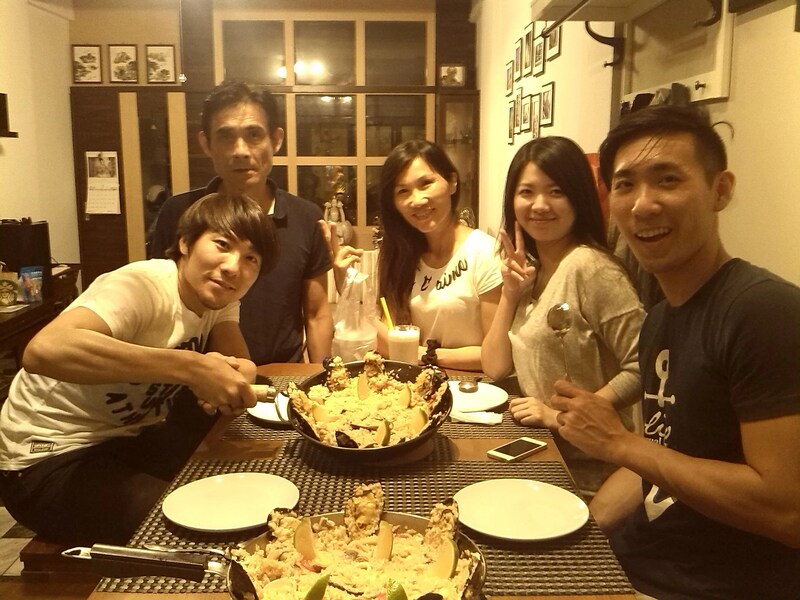 I have great experiences with food and hitchhiking in Taiwan, but it is incomparable of course to the people I’ve met. My first host joined me for a few days in my hitchhiking trip in Taiwan. I met families and enjoyed having tea with them. They all introduced me the local food scenery in Taiwan. 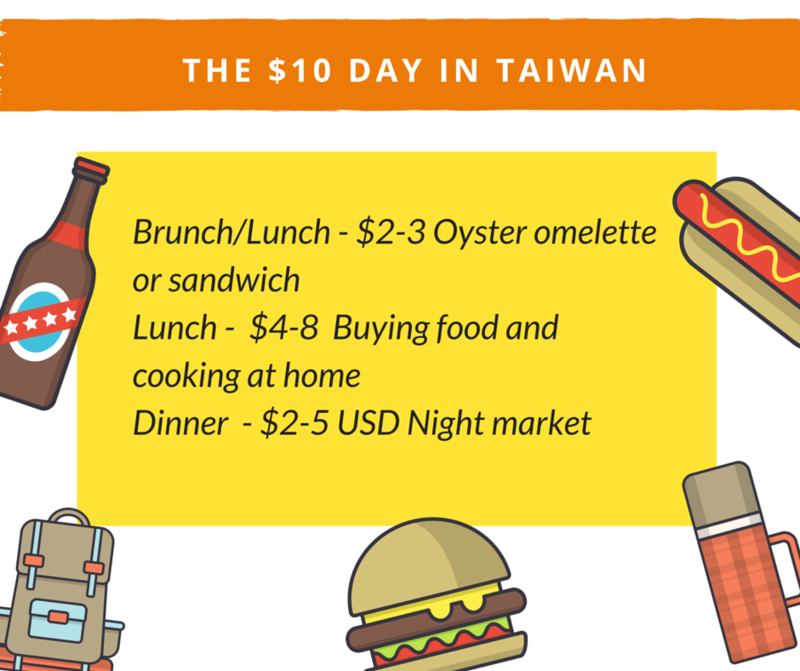 How does a $10 day look like in Taiwan? My favorite part – the $10/day outline. As food here in Taiwan can be more expensive than other Asian countries, I budgeted properly. I usually have brunch and dinner or just stay cooking at a host’s home. Since I’m couchsurfing, I cooked Spanish omelette for my hosts. When my hosts are out for the day, I usually prepare a simple breakfast, cooking at home, and then maybe go out for dinner with my host. Do you wanna spend more? If you have more than $10 daily, or if you want to spend more money, here are an example of a few activities you might want to do. After traveling Taiwan for 3 weeks, I spent less than $200. I didn’t spend any cent for accommodation. I also didn’t spend any cent for transportation. The scenery is great everywhere and the people, very generous. So, I definitely recommend you, if you’re on a tight budget, to add Taiwan to your travel itinerary. You will definitely not break the bank and still have a great experience. All these stories and guides are from my real travel experience. If you are in Taiwan to discover the life, to integrate with the culture. To meet new people and spend time with your host, then a $10-a-day budget doesn’t really sound bad. You can spend on essential things, like food. And for the other things, you can cut back on spending to almost zero. Without taking advantage of anyone, of course. Easily cut back on transportation and accommodation (by hitchhiking and couchsurfing) expenses. Have you traveled Taiwan before reading this post? If yes, how much did you spend for the Trip? If you haven’t yet, are you ready for the $10 travel challenge? Let us know in the comments! We are here to support you. If you want to read more guides in Asia, take a look to our Philippines travel guide or if you are heading to Myanmar, check our full guide with all that you need to know about this amazing country. Also, share this post to extend the love. You know we are all here to support each others dreams and passions. And if it’s travel for you, do it NOW. NO EXCUSES. Wow! What a comprehensive guide. Hi Dee! I hope you find helpful! Where are you traveling now? Actually, I’m going to Lourdes and Barcelona in March. I remember you posted about cycling in those areas. Any tips? My family is driving from Barcelona to Lourdes. I was cycling from Basque Country to Bordeaux. Around the Coast, landscape was great. But, that is different way! I hope you are lucky with the weather! Thank you. I know the weather will be in the 40’s Fahrenheit more or less the same in the North East US. I’m hoping it’s dry though. It’s similar the weather at that time. You will enjoy the visit! Muy bien! Mi familia le encantara ( I’m not sure about the conjugation, but you know what I mean ). Perfecto! Your family will enjoy the trip! Reading this made me so nostalgic! I just left Taiwan about a month ago to live in Montreal. Such a beautiful city. Looks like you enjoyed your time there too. And stinky tofu is by far one of the stinkiest foods I have ever had in my life haha. 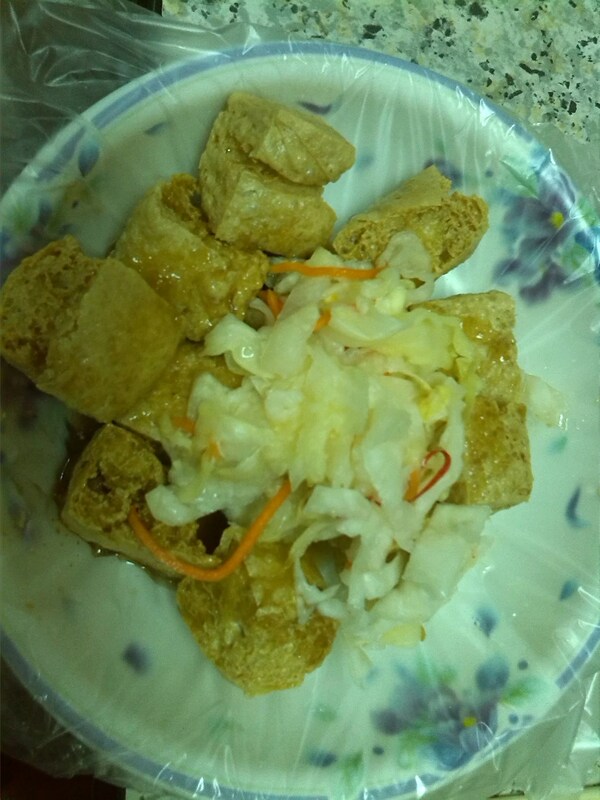 Everybody should try stinky tofu hahaha. I prefer bubble tea or beef soup! Enjoy the winter in Montreal! Thanks Racchen! It was one of my favorite countries! I like so much people and food! Wow!!! We are friendly, right ? ;) So are u still in TW? Yeah, very friendly! I’m in Philippines right now. It was last year my trip to Taiwan. I travelled around 40 countries in similar fashion as you and I can tell Taiwan is my favourite one ,tied next to Oman and Indonesia. Thanks for your comment Louie! I learned many things in Taiwan, plus I could practice a lit bit Chinese. I liked Indonesia too. I’ve never been in Oman. Which plans do you have for traveling? I am touring Indochina at the moment. It sounds great Louie! You will enjoy Burma! 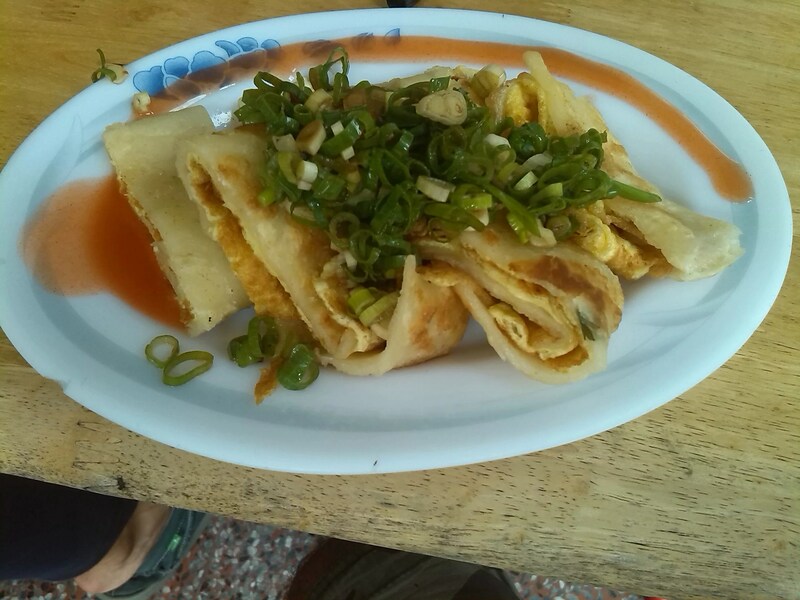 I love Burmese people and their food! I’m from Philippines trying to figure out and plan how to quit my job and travel the world. Hahaha. But I have yet to travel all places of my country. I see you’re here. How’s your trip so far? Hitchhiking and couchsurfing are still not very common and backpacking is still new. Thanks to the power or internet, Filipino travellers are opening up to this type of travel that our neighboring South Ead Asean coutries like Vietnam-Cambodia-Thailand are used to. Travelling around Philippines is still expensive even for locals because you always have to fly from one place to another. I’m looking forward to reading your post about how cheaply you can travel around. Don’t miss Banaue Rice Terraces, Palawan (El Nido&Coron) Bohol, Boracay and Cebu. Oh, you’ll be surprised some of our local language and dialects have Spanish incorporated in it but English is spoken widely. Gracias JM! I’m living in Philippines. Couchsurfing and hitchhiking is working in Philippines. That’s true in Philippines isn’t the cheapest, because of the ferries and planes. But I’ve been traveling with $10. You can use wild camping for sleeping and food is very cheap. I will write about Philippines in a few weeks. Buenas Noches. I didn’t realize you’re using wordpress too. Yey! My plan is to travel the country from north to south for a year – no planes just ferries and buses. I’ll have hitchhiking and couchsurfing included then and I’ll use your tips when you post. If you happen to pass by Cebu (where I’m based now) let me know. Let’s grab lunch or dinner. Thanks 🙂 I have no plans from now for traveling. I will let you know, if I’m going to Cebu. It sounds great, a year traveling the Philippines!! I’ve just came back from taiwan and I found the food very cheap. In some places it was £0,50 for a meal. Maybe it’s more difficult to find cheap food when you don’t speak the language ? So I’m not suprised you manage to survive there with less than 10 dollars per day 🙂 Taiwan is great ! Taiwan is the easiest country for hitchhiking? I agree- the first time I ever hitchhiked in my life was in Hualien and I wasn’t even trying. Thanks Wingshum, great story your about Taiwan! $10 a day? Seriously, great job! It’s not a well-known tourist spot but I had a wonderful time there last year.